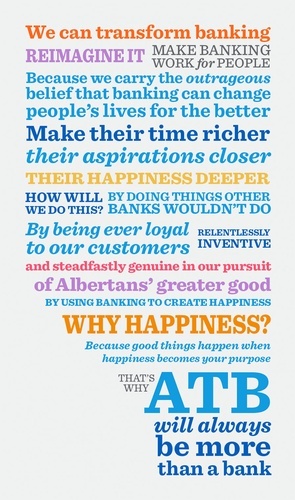 At ATB Financial, we put people first. We've been doing it for more than 75 years. In that time, we've grown from one small Treasury Branch to become the largest Alberta-based financial institution, with assets of $48.5 billion. 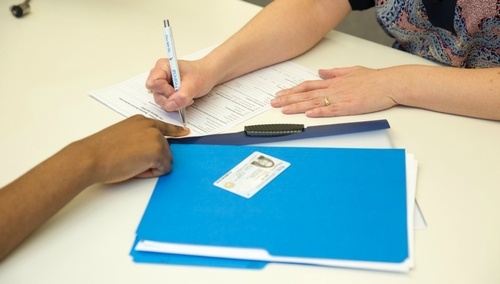 Today, 5,021 team members help more than 725,000 customers in 244 Alberta communities. Like our clients, we're Albertans. Through a network of more than 300 locations across Alberta, and a Customer Care Centre, we work beside them and with them in their communities, and we root for their success because it's our success too. We're proud of what we do and we're proud of the people who help us do it. ATB was named one of Canada’s 50 Best Employers in 2015 by Maclean’s Magazine in partnership with Aon Hewitt – in fact we made to the top 10! In 2014, ATB was also named one of Alberta's top 65 employers and one of Canada's Best Employers for Young People by Mediacorp Canada Inc., one of Canada's Passion Capitalists by Knightsbridge, and one of the 50 Most Engaged Workplaces in Canada by Achievers.